On January 28, 1986, Space Shuttle Challenger exploded about a minute after liftoff, killing all seven astronauts, including Teacher-in-Space Christa McAuliffe. Investigations revealed that contractor and in-house engineers had warned prior to the launch that the unusually cold temperatures on shuttle systems the previous night and that morning could have catastrophic effects. Also disclosed was the fact that NASA had known for years that the O-ring joints on the shuttle’s solid rocket boosters were unsafe but planned to keep flying while they were being re-engineered. But concealed was the takeover of NASA by those in charge of President Reagan’s Star War program along with the fact that NASA launched against the concerns of engineers in order to have the Teacher-in-Space mission in orbit in time for President Reagan’s planned state-of-the-union address that night. But the Teacher-in-Space was itself a smokescreen for the radical militarization of space that has received new impetus today from the ongoing takeover of the U.S. government by the Neocons. Thus the Challenger disaster was a warning to us all of what happens when technology is abused by covert political agendas and when lies and cover-ups replace honest inquiry. My name is Richard C. Cook. Over 30 years ago I was the NASA analyst turned whistleblower who disrupted the cover-up the space agency had begun of the known causes of the space shuttle Challenger disaster when I released the O-ring documents to the press within 10 days of the January 28, 1986, explosion. I did this because I had been conducting an internal investigation of NASA’s longstanding knowledge of the potentially deadly flaws in the solid rocket booster O-ring joints and knew, as did agency management, that it was these flaws that destroyed Challenger and killed its seven astronauts. But I could not make myself keep silent when the officials in charge were concealing what they knew and expecting staff professionals like me to go along with it. It simply would not have been the right thing to do. New York Times journalist Phillip Boffey won a Pulitzer Prize for the articles he wrote on the documents I handed him at the Times’ Washington, D.C., bureau. Boffey’s articles paved the way for all subsequent news disclosures and investigations. But it was obvious to NASA I was the leaker. I was set-up for public attack and humiliation, fled the agency for fear of retribution, spoke and wrote publicly for several years afterwards, then kept my Challenger files for almost two decades until I published my account in book form in 2007. 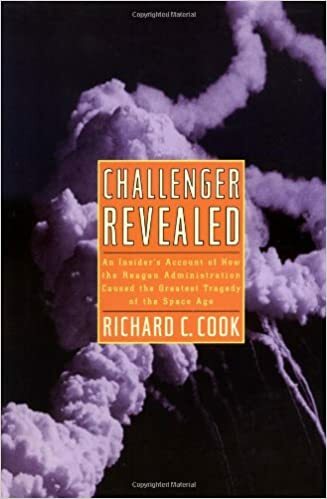 Thus, 21 years after the disaster, on my retirement from the federal service, I published Challenger Revealed: An Insider’s Account of How the Reagan Administration Caused the Greatest Tragedy of the Space Age. Despite a Starred Review from Publishers Weekly, the book has been almost completely, probably purposely, ignored by the mainstream media and attacked by the usual shills on the specialty web sites and chat rooms. But I have never backed down from what I had to say. My book is the only complete account, either in print or the visual media, of one of the signature events of the 20thcentury. No other treatment has penetrated the multiple layers of cover-up, not only by NASA, but also by the Rogers Commission and Congress, both of which effectively concealed the deeper political causes of the tragedy that made Teacher-in-Space Christa McAuliffe and the other Challenger astronauts not just victims but martyrs. The Commission also hypocritically boasted that it had discovered the “exact cause” of the tragedy—the infamous O-ring joints that they learned NASA had been well aware of up to the highest levels. But in its report the Commission protected the top brass from further scrutiny by turning the lower level managers into scapegoats. This was done deliberately. In fact deals were made. The Rogers Commission pursued the same strategy as other high-level inquiries such as the Warren Commission, the Rockefeller Commission, the Tower Commission, and the 9/11 Commission: find someone far down the chain of events on which to pin the blame while the high-level perpetrators go free. The mainstream media plays its designated role by reporting as expected while the dust of past events settles. Then establishment historians package the bland but dishonest conclusions for future consumption by a posterity they and the perpetrators view only with contempt. Every presidential commission is charged with hiding something. What then was the Rogers Commission hiding, along with the congressional committees after it, especially since it didn’t take long for them to realize that NASA had known about the flawed O-ring joints in the solid rocket boosters literally for years—even before the shuttle had ever flown? To answer briefly but accurately, the Rogers Commission was hiding the darkness that had enshrouded the U.S. manned space program through takeover of NASA by operatives of President Reagan’s “Star Wars” space weapons program. These operatives had emerged from the “Conservative Movement” that got Reagan elected, such as members of the Committee on the Present Danger that advocated putting the U.S. on a wartime footing against the Soviet Union. One of these members, William Graham, had been made NASA’s acting administrator weeks before the Challenger disaster. The Conservative Movement was the forerunner of today’s Neocons and included many of the same people. One of their heroes was Edward Teller, “father of the hydrogen bomb.” Later it was these people, through the 1997 Project for the New American Century and other avenues, who collectively became the architects of our current national policy of regime change and perpetual warfare against any nation or entity in the world that does not please us. Getting back to Challenger, the militarization of the space shuttle program was why the O-ring joints had not been fixed—it would have slowed or halted the military launch rate and reduced NASA’s intake of Department of Defense subsidies needed to keep the shuttle flying. Instead, an improved booster rocket design was to be gradually implemented over a two-year period, leaving the shuttle to risk astronauts’ lives by “flying-as-is,” to use NASA’s own term of art. My book documents that NASA was keeping to itself the fact that solid rocket booster O-ring joint performance was worse in cold weather in order to avoid delays in military missions. The jig was up when NASA launched Challenger due to White House pressure to have Christa McAuliffe in orbit for Reagan’s state-of-the-union message that Tuesday night. The White House knew NASA was concerned about the weather, but the agency’s top managers were unwilling to risk political disfavor. So they decided to cross their fingers and hope for the best. They even told the dissenting engineers not to worry—that if anything went wrong the engineers wouldn’t be blamed. So the cover-up was being planned as an option even before the disaster. These are not just allegations. These are critical facts that are described and documented in detail only in my book. Names are given and specific sources cited, including the meeting where Commission Chairman William Rogers explained his strategy of making Al McDonald of Morton Thiokol the “hero” of the piece and Larry Mulloy of NASA’s Marshall Space Flight Center the villain. End of story, or so Chairman Rogers intended. All other books and articles on the subject, as well as all media productions, including the Discovery Channel’s 2013 made-for-TV movie The Challenger Disaster, swallowed the Commission’s line and refused to touch the underlying causes . Thus they have all made themselves, intentionally or not, part of the cover-up. The Challenger disaster is as pertinent today as when it happened both for the human elements and the policy implications. The grounding of the shuttle fleet for over two years from 1986-8 deprived the “Star Wars” program of its primary testing platform, thereby slowing the weapons-in-space effort until it went dormant after the collapse of the Soviet Union in the 1990s. Crucial is the fact that “Star Wars” marked a radical change in U.S. space policy, because underlying it was a belief by the cabal that controlled Reagan that a nuclear war against the Soviet Union could be won, even if millions of people in both countries lost their lives. The 1986 mission of Teacher-in-Space Christa McAuliffe was Reagan’s sentimental pet project but also a smokescreen to conceal the militarization of space. But the menace of space weaponry has returned. Now in 2017, with the resurgence of Russia as an excuse, the U.S. has embarked on a new nuclear arms race. Influential journals such as Foreign Affairs and International Security speak of the need for U.S. nuclear supremacy. U.S. abrogation of the Anti-Ballistic Missile Treaty in 2002 has led to a massive attempt to ring Russia with a missile defense system. This is believed by many to be a plan to prevent Russian retaliation to a U.S. first strike and is an underlying reason for the incorporation of eastern European nations into NATO. Meanwhile, reminiscent of “Star Wars” days, the Pentagon has established a Joint Interagency Combined Space Operations Center in Colorado Springs, with over 22,000 employees. 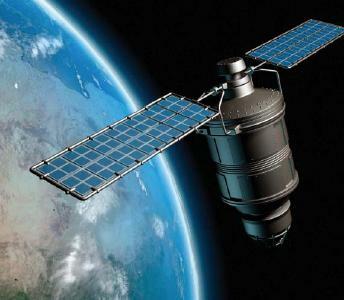 These are working in secrecy but are known to be focusing on future space-based military operations against Russian and China. Further, even though the Outer Space Treaty of 1967 is still in effect, prohibiting weapons of mass destruction from being based in space, any nation can withdraw from that treaty with one year’s notice. Research, planning, and technology development can, and is, plowing ahead unabated with billions of dollars in contracts being awarded. A new generation of nuclear weapons is being developed, along with weapons such as the electromagnetic railgun and laser-beam devices that can be installed on orbiting space platforms. The difference between now and 1986 is that all space-based military operations will be covert and robotic, including semi-autonomous artificial intelligence devices. An example is the X37-B unmanned space plane currently being flown by the Air Force. This space plane is a smaller unmanned replica of the space shuttle. Unlike Reagan’s “Star Wars” program, humans in space, with the risks and publicity involved, will not be needed. But contrary to all this, the exploration of space as set forth in NASA’s enabling legislation in 1958 was for peaceful purposes to benefit all mankind. America’s manned space program has been eclipsed, its original vision a distant dream. Future exploratory projects are behind schedule and over budget and may even be cancelled as being less urgent than spending for war. Or, these manned missions will also be diverted to serve military purposes. Instead of peaceful exploration, we now have a monstrous present of planning by military analysts to risk destruction of our own and other nations, and perhaps all of humanity and earth itself, for motives of pride, greed, and fear; i.e., for nothing. The main beneficiaries of this insanity are the billionaires who are making the space weapons. Meanwhile, professional commentators foment hatred toward supposed foreign “adversaries” like Russia and China to keep the billionaires in business. A glance at websites like “Space War: Your World at War” shows how pervasive the militaristic mentality is, how many people and how much money is invested in it, the absence of any sense of shame in the glib manner by which its publicists glorify it, and the lack of recognition of the level of destruction mankind is preparing for itself by indulging in such evil. A turning point for the start of this downward spiral was the Space Shuttle Challenger disaster of 1986. Again, only my book Challenger Revealed explains fully what happened on that terrible day and why it was a harbinger of today’s peril. We now must rise to the vision of a unified world brought to us vividly by the astronauts in the 1960s who first showed us real-life images of earth as a fragile “blue marble” floating quietly in space, home to all terrestrial life and a single human family. This was also a vision held by Teacher-in-Space Christa McAuliffe. It is a vision honored by people who believe in the goodness and promise of life. It is a vision still available if we turn to it for renewal. It is a vision that can raise us to a higher spiritual level than obsession with money, secrecy, power, and war. But to reach this spiritual level in space exploration or any other endeavor, we have to be able to know and tell the truth. In this regard, the U.S. government has a big problem. Lying has become so habitual among politicians, government officials, and military personnel that truth is not even seen any more as having any intrinsic value. Examination of almost any government program or public event discloses varying levels of deception, “spin”, distortion, bias, cover stories, or concealment. A huge amount of government activity, including everything done by the military and the intelligence agencies, is covered under various secrecy statutes for the purposes of so-called “national security.” “Plausible denial” is a way of life. Whistleblowers who speak the truth are threatened or persecuted. I know this as a fact, as that is what happened to me. The average citizen doesn’t have a clue of what is being done, or even what crimes are being committed, in his/her name and with his/her tax dollars. Of course the news media are in on the game, not only concealing the truth, but making up “fake news” to divert attention. The propaganda machine is a multi-billion dollar business, with the Pentagon in collusion with Hollywood in churning out garbage films that glorify war and mayhem. All of this has become much worse in the 30-plus years since the Challenger disaster. And who benefits? Obviously the military-industrial-intelligence bureaucracy and its millions of employees condone it because their livelihoods depend on the collective insanity. Then there are the owners of the technology companies who manufacture huge quantities of junk machinery whose only purpose is to kill people, if in fact it is ever used. And of course there are the politicians, lobbyists, PR flaks, and spin doctors whose careers are based on getting voters and taxpayers into a frenzy to continue voting in favor of the people who run a system that thrives on human suffering and have a vested interest in generating more of it. The craziest thing of all is that the U.S. once thought of itself as a Christian nation, and many of the supporters of the political ideology that justifies the madness still do. But where is Jesus in all this today? Where is the religion of love and forgiveness that led to the abolition of slavery and the vision of America as a beacon of peace and harmony in the world? I am sorry, but the U.S. is not an “exceptional” nation, because that vision is dead. Instead, we have become a nation controlled by greedy, lying warmongers. The Challenger disaster and its aftermath and cover-ups were a big step down this road, as were events that came before, like the JFK assassination, and those since, like 9-11. Can any of this be changed? If it can, it will happen only if enough individuals make a stand and refuse to go along with the system, no matter what the personal cost. I also believe in the power of prayer. Otherwise, I am convinced that this nation is on a path to destruction. The U.S. today seems to be largely in the control of an alien force, which, for clarity and convenience, may be associated with the Neocons discussed above. Today they control Congress, the White House, the mainstream media, and both political parties. They control the military and the intelligence agencies. And they have powerful financial backing at the international level. One thing seems certain: given the powers that they are playing with—technology that can destroy the planet—a catastrophic outcome is likely to take place sooner rather than later. 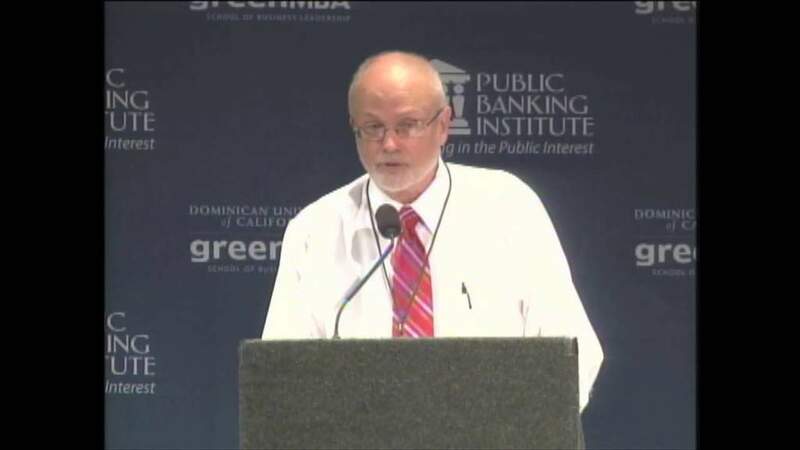 Richard C. Cook is a retired federal government analyst. In his 32-year career he worked for five civilian agencies and the Carter White House. While with NASA he documented the flaws with the space shuttle solid rocket booster and testified before the Presidential Commission on the Space Shuttle Challenger Accident. Unable to return to NASA after his testimony, he spent the rest of his career with the U.S. Treasury Department. On retirement in 2007, he published Challenger Revealed, the definitive account of the multiple layers of cover-up surrounding the disaster. He went on to publish a book on monetary policy entitled We Hold These Truths: The Hope of Monetary Reform. In 2012 he put forth the Gaia Plan, a proposal for a worldwide basic income to counter technological unemployment, spur economic growth at the grassroots level, and assure a life of dignity for all people. An earlier version in this text was published by Veterans Today.